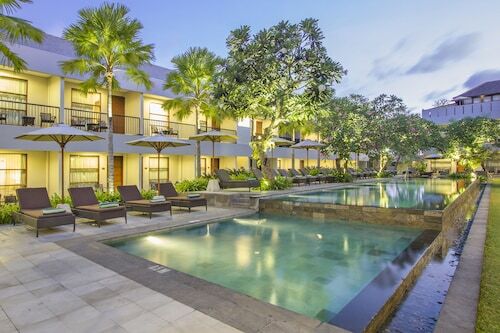 Holidaymakers seldom miss a chance to visit Seminyak Square. 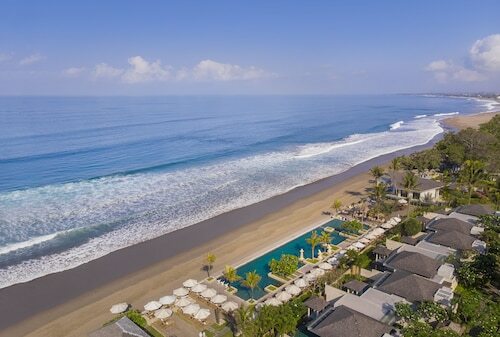 It's located in Seminyak, 960 kilometres away from Jakarta, the national capital city. 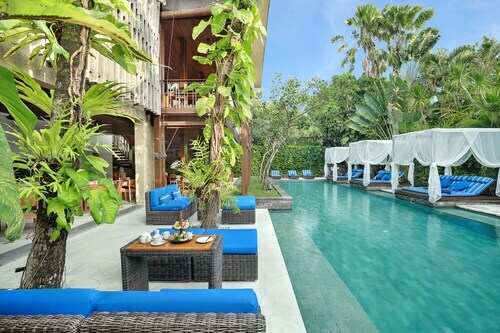 With 204 accommodations within a short stroll of Seminyak Square, the only drama you'll have booking a place to stay is deciding which one's best! 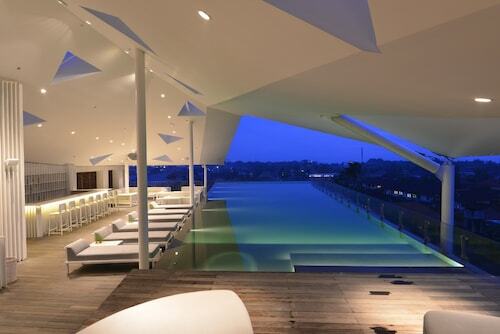 You may want to have a look at The Legian, Bali, Peppers Seminyak and The Samaya Seminyak. If you take pride in being able to travel on a budget, you'll be stoked with the range of bargain places close by. 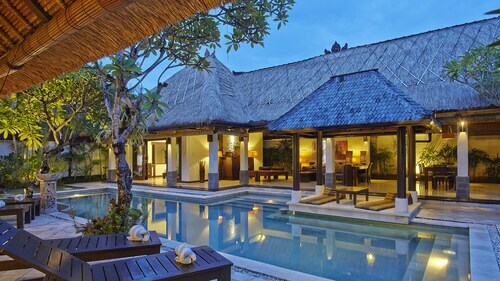 Select the Bali Mystique Hotel and Apartments or the Villa Kamar Madu, 0.5 kilometres and 2 kilometres away, respectively. 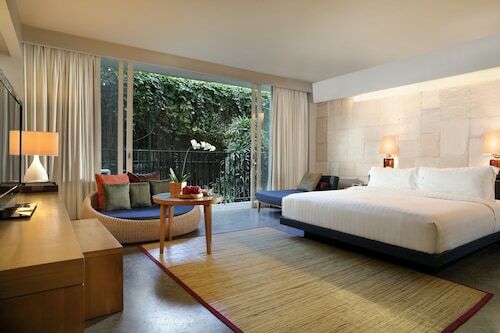 That said, if you're after a bit of comfort and luxury, select one of the numerous upmarket hotels in the immediate area. 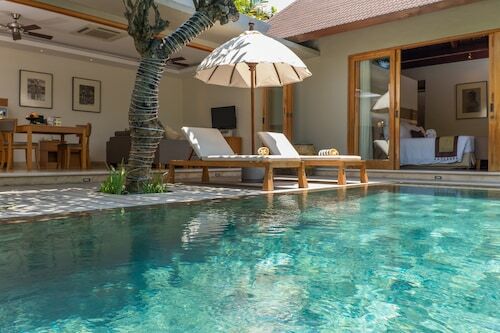 The Eden the Residence at the Sea and the Chandra Bali Villas are two such spots you'll want to consider. The former is 2 kilometres away and the latter is a kilometre. Enjoy a coffee and write a postcard at Mano Cafe. It's right near Seminyak Square. 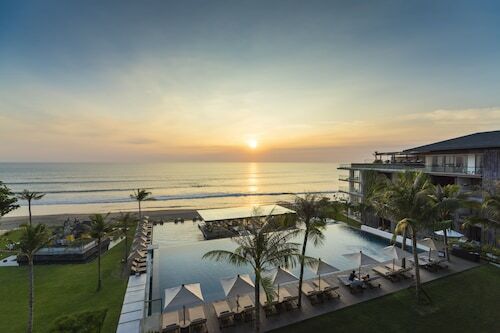 When dinnertime rolls around, visit The Royal Beach Seminyak Bali - MGallery Collection. 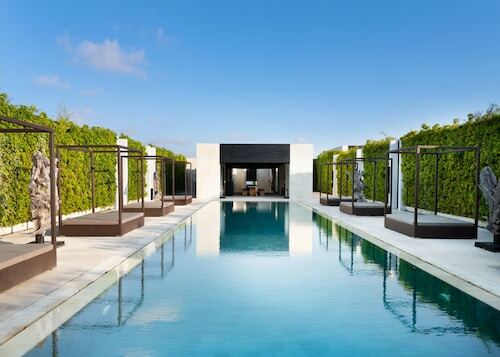 And later on, pull up a stool at Potato Head Beach Club to quench your thirst. Art fanatics should definitely considering dropping by TAKSU Bali Gallery to check out the selection of striking works of art adorning the walls. Gain some understanding of new cultures and customs at Petitenget Temple, a sacred site for local worshippers. 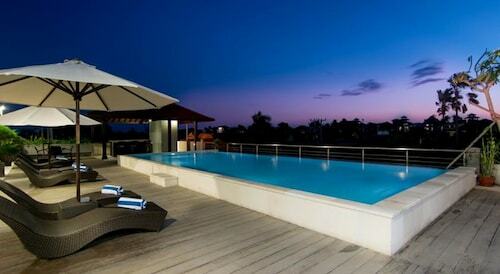 At Petitenget Beach, the sunshine and salty ocean air await. 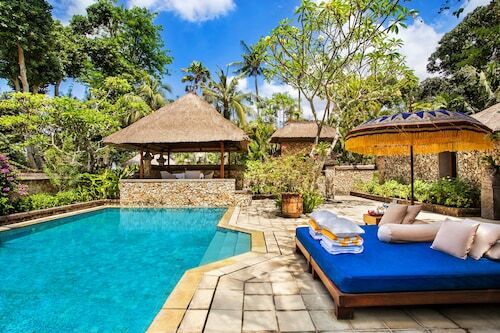 So pack your towel, and head out to enjoy the views. The colour, vibrancy and atmosphere of Eat Street entice passersby and holidaymakers alike. 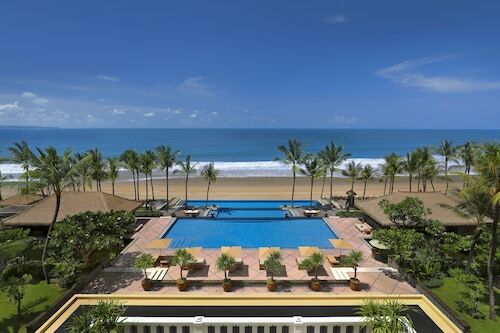 Plan an afternoon out at Gado Gado Beach and take a deep breath of the sea air as you soak in the sun. 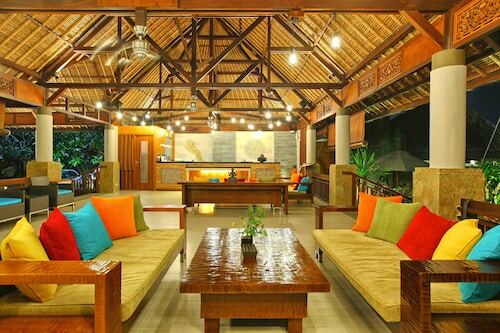 How Much is a Hotel Room in Seminyak Square? 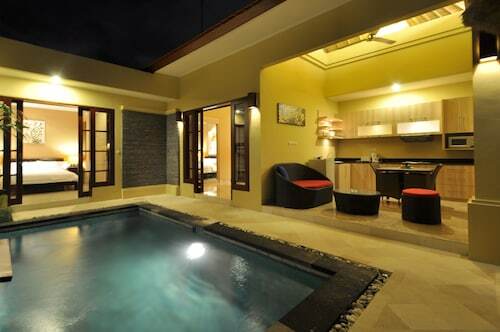 Hotels in Seminyak Square start at AU$44 per night. Prices and availability subject to change. Additional terms may apply.